Piano Palooza a Real Piano Pa LOSER! The Selinsgrove Piano Palooza is hitting all the wrong notes. 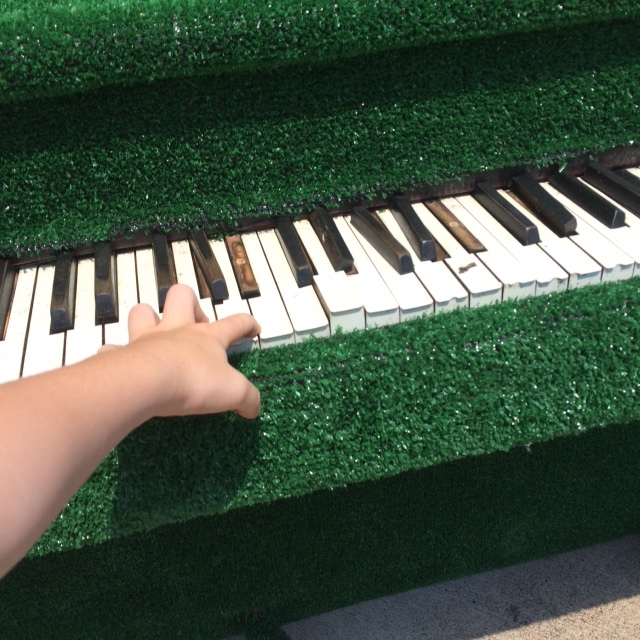 The sign on the decorated piano invites people to come play, but on seven of the fourteen pianos its impossible to even push some of the keys down. On several others the notes were broken. Nate Fisher, owner of Vivace Music Store says the pianos don’t work because they are left outside. “The rain has done some damage, that’s for sure” Fisher told the News. This is the second annual Piano Palooza. The fourteen pianos will stay outside for two months. This entry was posted on July 1, 2015 by Hilde Kate Lysiak and tagged hild kate lysiak, Orange Street News, piano palooza, selinsgrove.